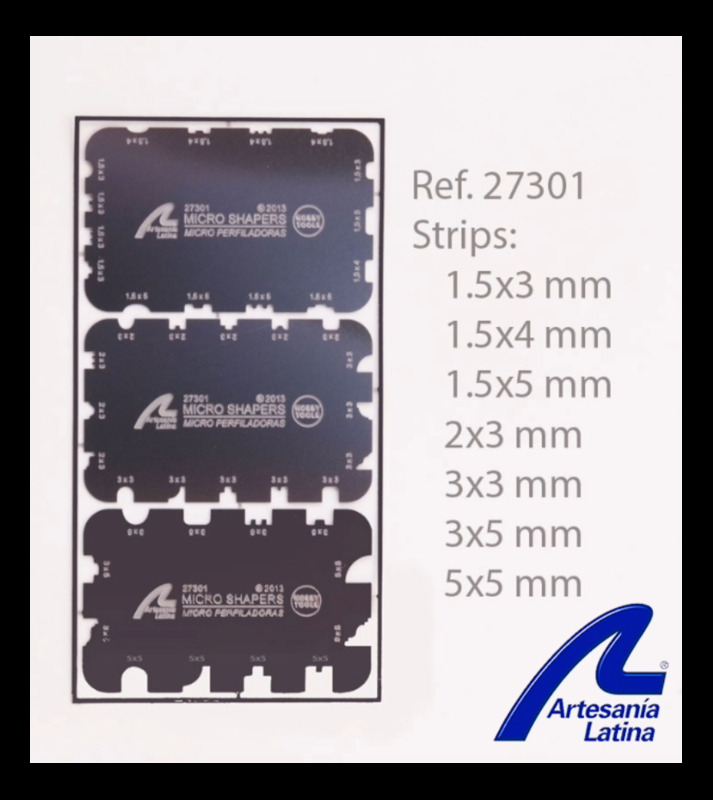 The Micro Shapers B are a unique tool in high quality stainless steel designed by the technical team of Artesanía Latina. It belongs to the Micro Tools Collection. This set of micro shapers B allows you to shape / profile wooden and plastic strips. It is perfect for creating moldings with different shapes to decorate their models.